Luxury custom home buyers know that adding a pool as part of their outdoor landscape will complement the home design. 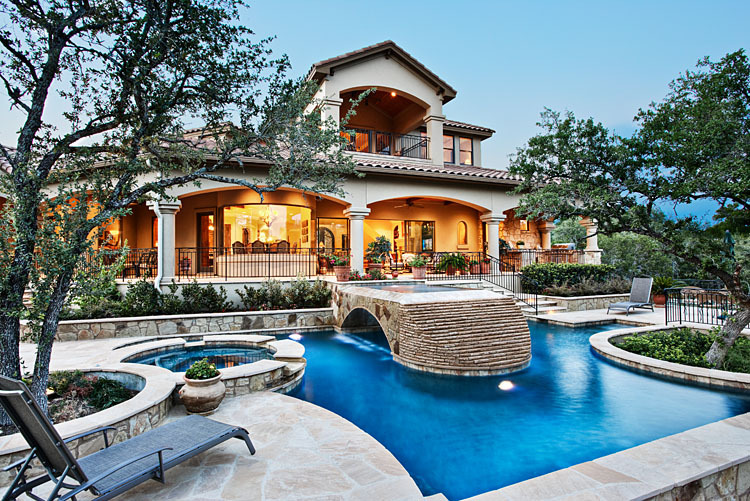 And custome builders, such as Austin Custom Homes know that the best time to build a pool is during the home construction process. By designing and building the home and pool together, the outdoor space can easily be integrated into the look of the home’s façade. Materials can be purchased together, so elements that are repeated around the pool and in other outdoor spaces will match perfectly. Sterling Custom Homes and their pool contractors to access the pool site more easily than after a home and fencing are already standing. If a project is land-locked or has a severe slope, building a pool after home construction may be implausible.